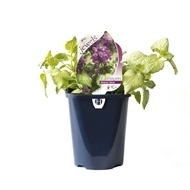 Lamium Beacon Silver has year round interest with attractive silver green foliage that is then set off by lovely pink flowers over spring and summer. Allow it to spill over banks or plant under established trees for an added colour. Plant under established trees for an added colour.